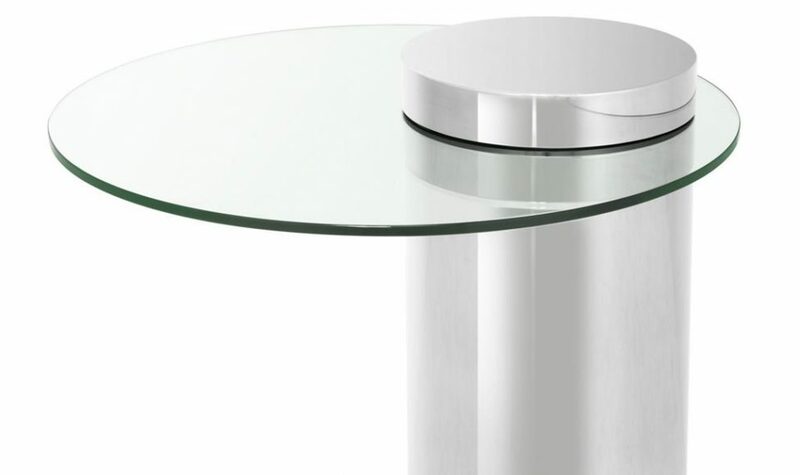 Polished stainless steel and glass side table. Channel the Bauhaus modernity of the Eichholtz Equilibre Side Table into your home. 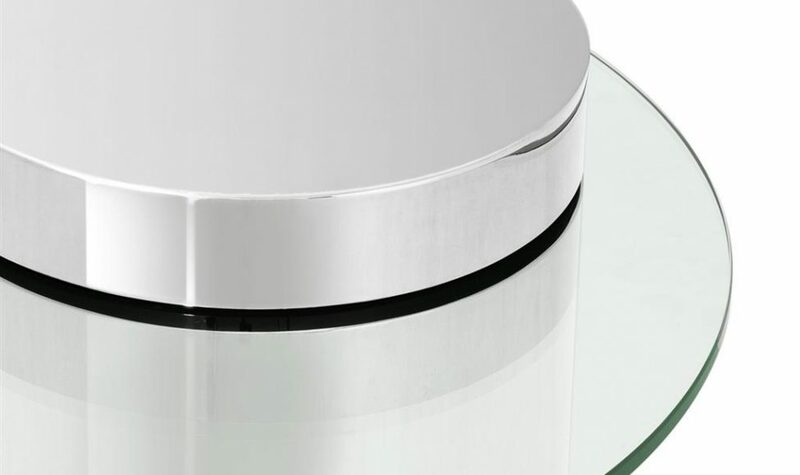 Featuring a clean line design, this unique cylindrical polished stainless steel side table offers a unique alternative to traditional end tables. 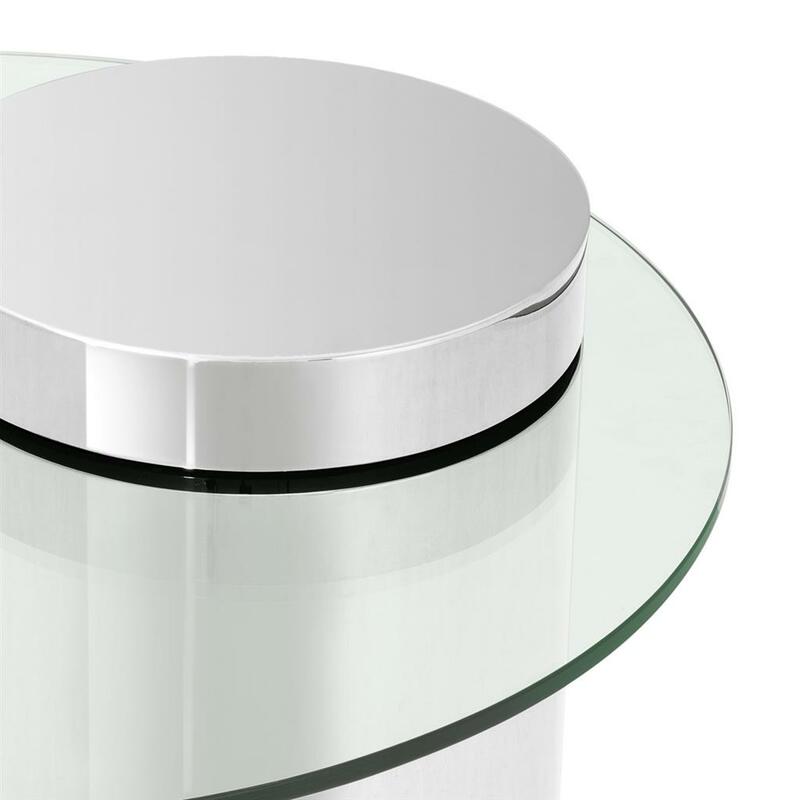 Featuring an utterly unified design, the cylinder base nestles a transparent round table top with smooth tempered edge. 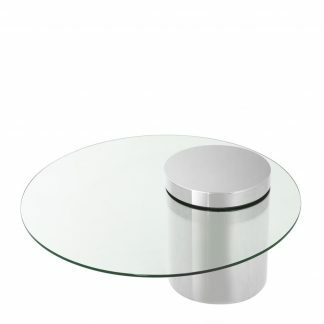 Embracing a gravity defying aesthetic, the unique design gives the impression that the table top is gracefully floating in mid-air. 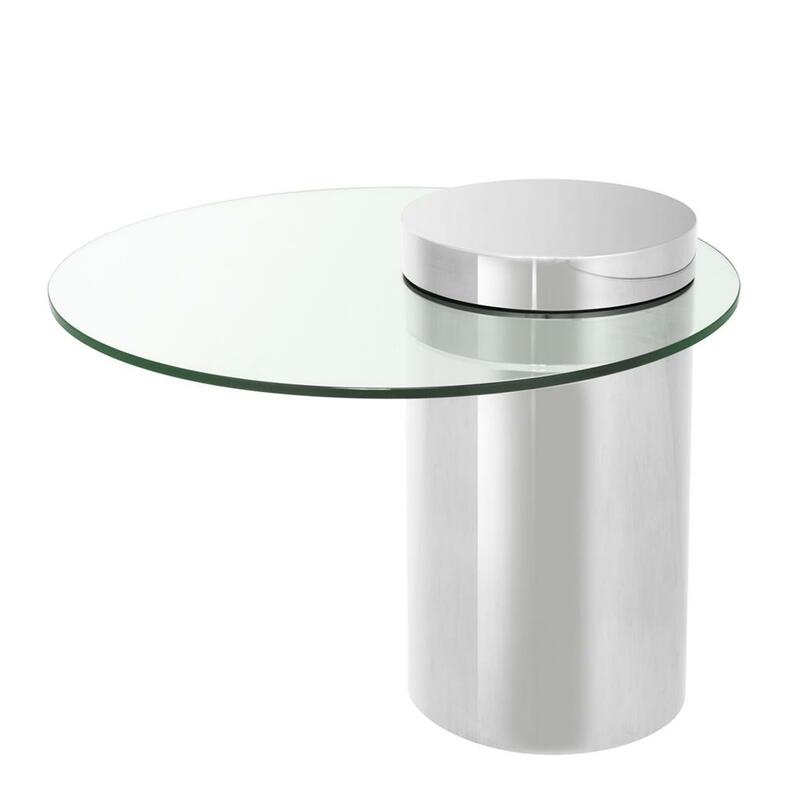 Use to transform a lost corner of the home or complement with other designer furniture and luxury lighting from the Houseology Eichholtz collection to invite a sense of restrained opulence to the everyday.